Nurses will play a bigger role in Alberta’s health-care system with the province expanding their abilities to prescribe drugs and order X-rays. 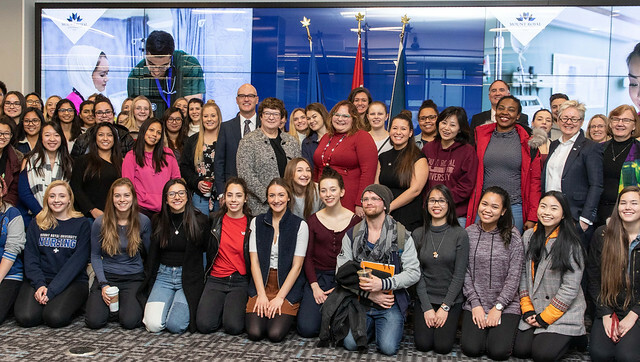 Minister Hoffman is joined by students of Mount Royal University’s nursing program. New regulations will expand the scope of practice for registered nurses and nurse practitioners. These frontline health-care professionals will now be able to prescribe drugs in places like travel clinics, sexually transmitted infection programs and workplace health and safety clinics. RNs will not be prescribing controlled drugs and substances. Nurse practitioners will now be able to set bone fractures. Other amendments to the Registered Nurses Profession Regulation will increase professional standards for Alberta’s 38,000 registered nurses and 550 nurse practitioners. The College and Association of Registered Nurses of Alberta will expand its continuing competence assessments to ensure practitioners continue to be supported to do their jobs effectively.